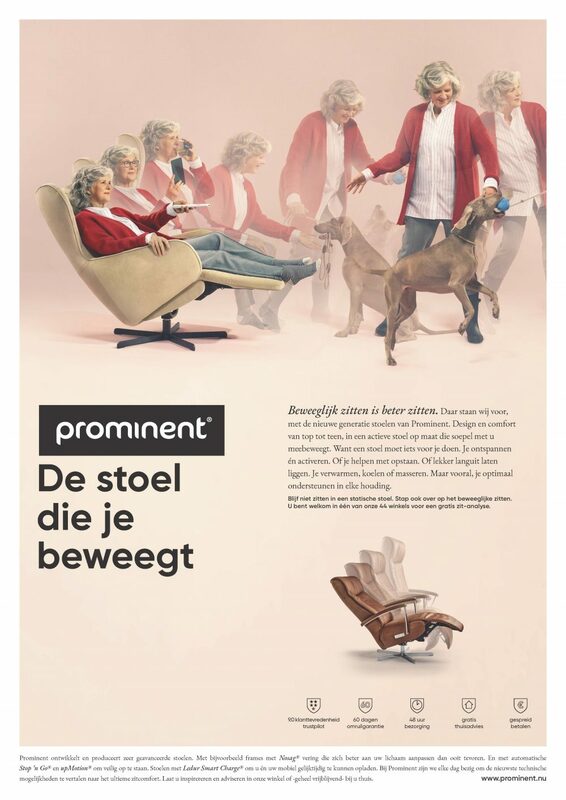 Founded in 1999, Prominent is the pioneer and market leader of ‘stand-up chairs’. 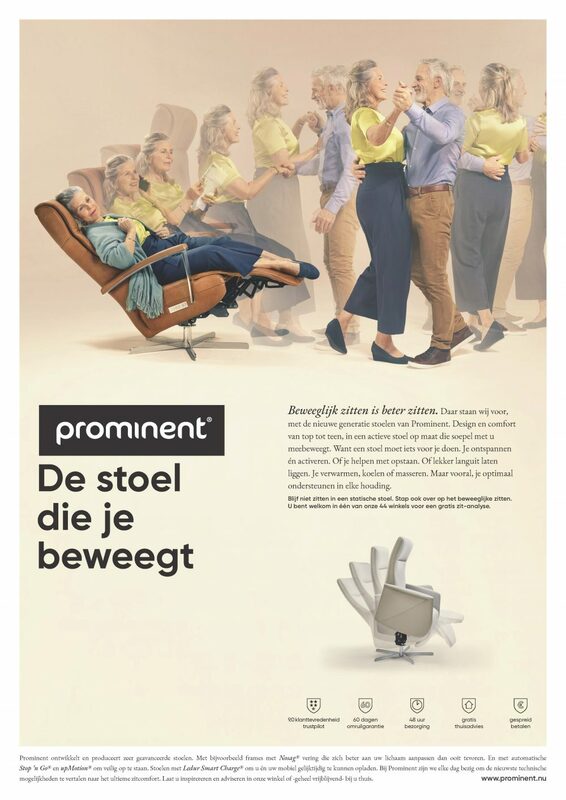 With a new generation of chairs, highly designed and incorporating many extra (electronic) features, Prominent wants to extend their lead even further. People with an active lifestyle want to be supported for their full range of activities, in and out of their favourite chair. Currently, the category is too static and sedentary. A new strong, iconic visual style has been developed that will be the key in all Prominent messages. 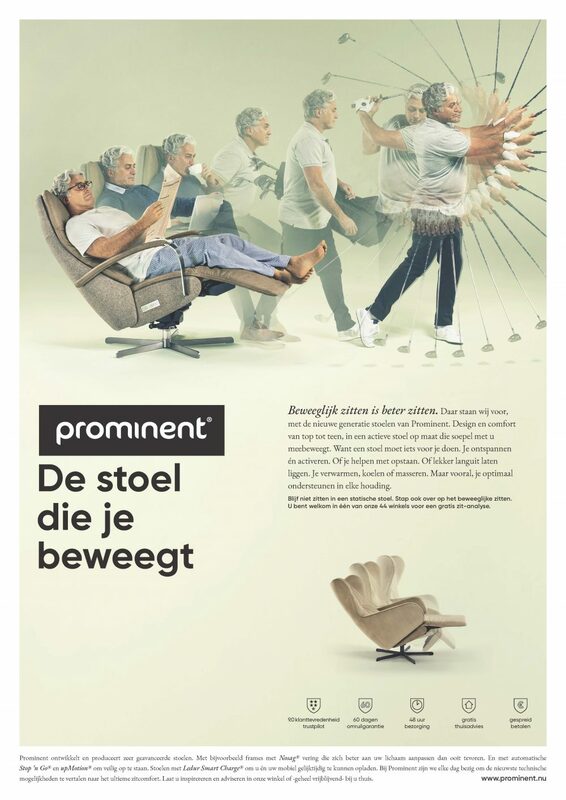 ‘The chair that moves you’ clearly captures the feeling of dynamic seating for dynamic lifestyles. 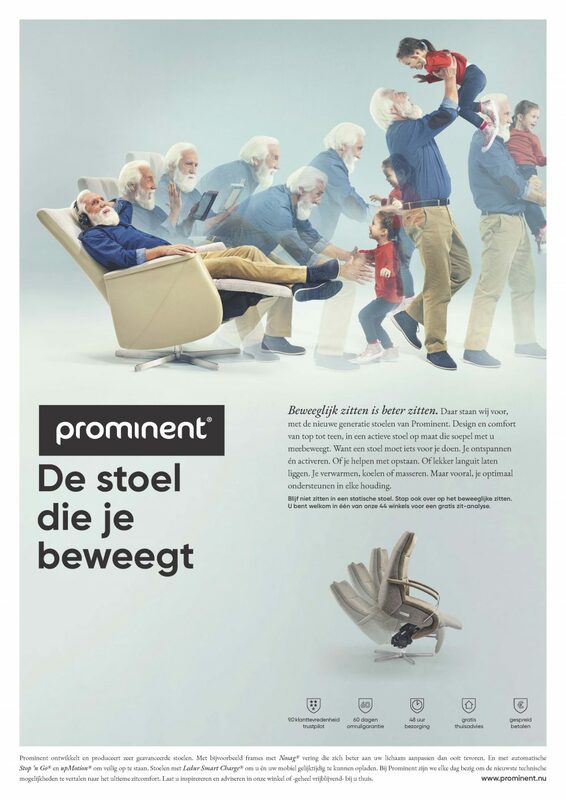 It shows people relaxing with perfect support and then leaving their chairs revitalised. Just started January 2019. But achieving more synergy between all media executions is the clear first win.